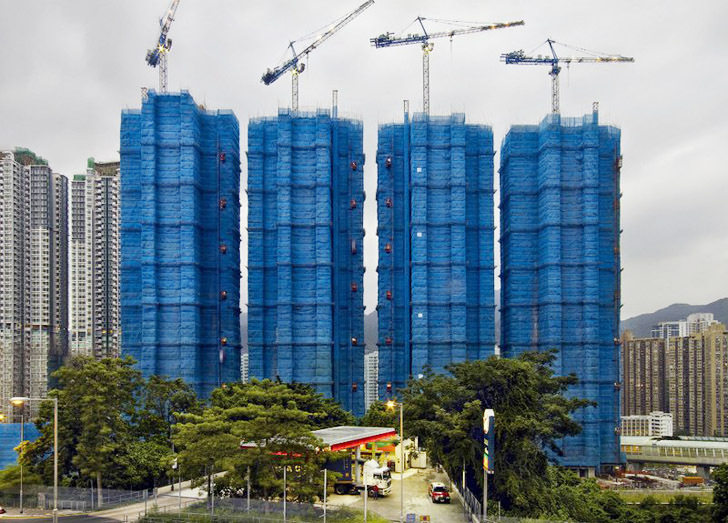 These wrapped buildings may look like the latest piece from artist Christo, but they're actually real! Photographer Peter Steinhauer was reminded of the artist when he saw what is actually a traditional method of protecting buildings during construction in Hong Kong. The buildings are wrapped in colorful mesh material that protects adjacent buildings and passersby from falling construction site debris. Steinhaur’s photos of the buildings look both beautiful and eerie, with silk material making them look abstract and uninhabited. However, some of these structures actually have residents. Steinhaur, who has lived and worked in Asia for the last 21 years, says that it’s not uncommon to live with silk-covered windows for the entire duration of the construction. The series of photos, entitled Cocoon, portrays these urban curiosities as disturbingly beautiful abstractions set in a dystopian environment. What seems to be a method used exclusively in this part of the continent produces stunning visual effects that transforms buildings into monolithic volumes. The fact that buildings have to be wrapped regardless of whether they’re getting built or being demolished confuses the viewer and merges concepts of creation and destruction into a single image. Steinhaur’s photos of the buildings look both beautiful and eerie, with silk material making them look abstract and uninhabited. However, some of these structures actually have residents. Steinhaur, who has lived and worked in Asia for the last 21 years, says that it’s not uncommon to live with silk-covered windows for the entire duration of the construction. The series of photos, entitled Cocoon, portrays these urban curiosities as disturbingly beautiful abstractions set in a dystopian environment. What seems to be a method used exclusively in this part of the continent produces stunning visual effects that transforms buildings into monolithic volumes. 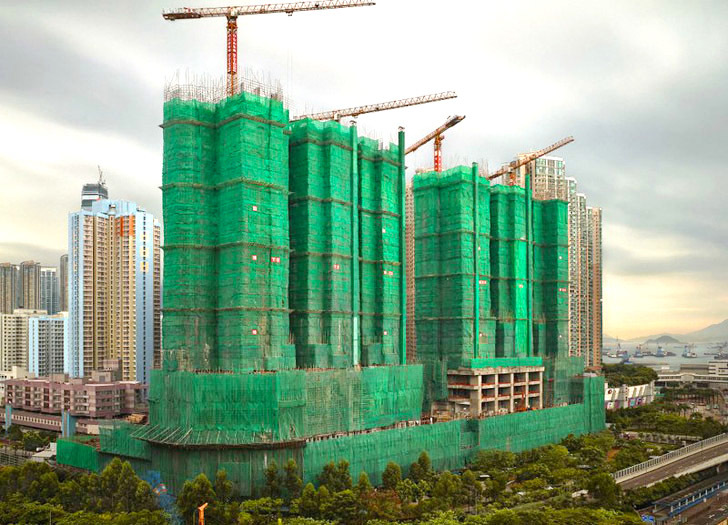 Buildings have to be wrapped regardless of whether they’re getting built or being demolished. The photos confuse the viewer and merge concepts of creation and destruction into a single image.